It pays to get to Versailles early! I hope you will follow my adventures in France, Australia and beyond. “La vie est trop courte pour boir du mauvais vin”! A question I regularly ask myself. I am an Australian who loves photography, art, collecting, poetry, writing and all things French. I have had the great good fortune to enjoy some wonderful adventures with my friends and to see (and photograph) some amazing things. I would like to share my experiences with interested readers. Thanks for taking the time to look at my blog. You might like a wander through some of my regular posts or participate in my Haiku challenge, share my Mondayitis rant or read about my travels in France, Oxford and beyond. “French Friday” is a chance for fellow France enthusiasts to share a piece of writing, a photo or anything else they love about France. As they say…”There’s something for everyone!” so I hope you find something for you! The visuals of this blog are quite minimalist so if you would like to leave a comment on any post, select the plus (+) sign in the speech bubble at the bottom of each post. I always love to hear your opinion. If you select the (+) sign in the circle beneath each post it will open up all the other information about recent posts, links, blogs I enjoy and much more! Most of the posts are written to be read anytime and are not a chronological sequence so older posts are worth a visit if you have an area of interest. All of the photographs I use on my blog are my own work except in a very few rare instances that I would always specifically mention. I would be delighted for you to share or use my images but please do acknowledge their source. I snapped this lucky shot in April in Paris with les Invalides in the background. A wonderful day! There in the abandoned picnic ground I snapped this pretty flower. I saw and photographed these lovely flowers in the Place Monge markets one April in Paris. Lamp base on the Pont Neuf I took in Paris in spring. The first true view of the city I had in my life after debouching from the Metro. Who needs to be eating fresh baguettes in the main square of the insanely picturesque Rennes when you could instead be experience “Parmageddon” at the Bull Creek Tavern? My wonderful friend led me up this little known way to Montmartre where I took this shot. With its reputation of art and Bohemianism, Montmartre remains a wonderful place to visit, especially in the springtime. I hope the treasured memories you have in your own mind are as wonderful as those in the British Museum when I took this photo on a summer’s day. The little white cat strolled nonchalantly by the ancient archway and ignored the sign for the “Expo” on the building beyond. My photo today is one I took in Versailles which I have entitled “Evergreen” in homage to the Christmas tree. This calm and dignified picture is in stark contrast to our present home environment. I took this photo at Magdalen College, Oxford one glorious summer. The gate promises wonderful adventures beyond. Through a window at Magdalen College Oxford. Arriving early in the morning we found the Arc de Triumphe uncrowded and the wonderful morning sun shining directly through the archway. The last hurrah of Autumn in the Jardin du Luxembourg. The Temple of Love in Versailles photographed in autumn. I realised today that I looked about as hipster as these boats I photographed in Japan look like actual swans. Taken on a summer day, this is the corner of the Fremantle Markets – a must for lovers of exotic coffee and handmade soaps. I rather liked the sky in this shot I took. The sun very kindly positioned itself behind to give an extra glow. Most people don’t know about the fabric shops in Montmartre. Why not grab a few dozen metres of watered silk after a pleasant lunch up on the hill. This understated little bit of iron scroll work enhances the one of the doors into Notre Dame. I snapped this on a lucky day when there were very few tourists. his little chap obliging sat for a photo on a recent trip to the local swamp. Asakusa and you can never have too many lanterns when it’s festival time! Summer in Oxford and the punts look so very easy to operate. DO NOT BE FOOLED! Your Christmas Getaway – Feeling a little down this December? 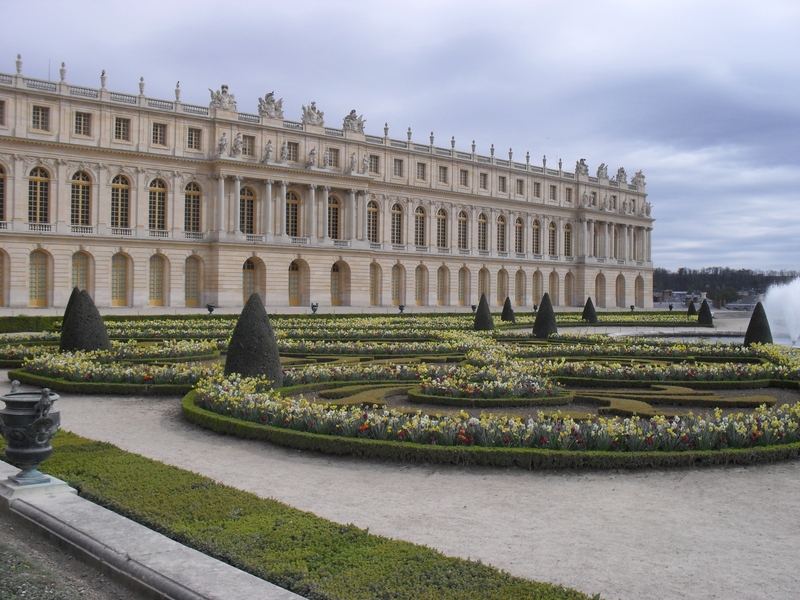 Why not rent Vaux le Vicomte and flee to France. Don’t bother telling your family and friends. You can always claim you were abducted by aliens if they ask any questions. We photographed this view from a platform in Dinan. Oh that we had the time to wander down to see it! Claude Nicolas Ledoux’s Rotonde de la Villette on the largest artificial lake in Paris. Do take a barge up the Canal St Martin, dine and then stroll to the serviously underated Buttes des Chaumont. Now a charming garden, the Square du Vert-Galant has had a gruesome history. This clever effect painted on the wall gave the impression of cool shade in this photo I took on a spring day in Paris. Nikko in spring and the cherry blossoms we just at the height of their transient beauty. Windmill in Brittany – A lucky snap from a coach companion resulted in this fantastic photo. At the back of the Grand Trianon we stumbled upon this charming garden in April and took quantities of snaps in the sunlight. J’adore the door! The asymmetry and colour of the doors and shutters was charming I thought. This little window in St Malo was so intriguing. What lay behind? The tiny Square Rapp is an Art Noveau gem and with a view like this when you step out the door each morning life must be good for the luck few living there. The Art Nouveau grill with a most interesting lattice trompe-l’œil in the tiny Sqaure Rapp. Vaux le Vicomte is stone’s throw from Paris. If I could chose where to live, this would be it. The beautiful dome of Les Invalides. It is forbidden to bring stinky cheese into this place of great sanctity. This is the wonderful view greeting the traveller after leaving the tunnel at the start of the Canal Saint Martin. I snapped this in spring the first time I experienced this delightful and surprising glimpse of lesser known aspect of Paris. My Heart belongs to Paris and Sacré Cœur was at its finest on this lovely day in Autumn when I snapped this picture. Here I am in happier times in front of the Lapin Agile. I ask you, Dear Reader, do I look like a perfect Santa to you? Early Morning in Dinan, a charming street waits in readiness to be transformed in to a bustling restaurant strip in spring. Taken while swinging at the bar in this strange pub in the heart of St Malo. On a crisp morning in spring we turned back and say this wonderful view which I snapped with joy. Bath Cathedral ceiling in summertime. The light helped to highlight the detail in this shot I took on a recent visit there. This delightful Cafe Gourmand I enjoyed in a garden in Versailles. Kale just simply does not have a chance. This little understated snuff box crafted for Frederick the Great caught my eye in the V&A. It made my tupperware lunch box look a little tawdry but I snapped it anyway. Early morning at Abbesses, we chose not to climb the stairs up. Autumn, and the last hurrah before the tubs are wheeled away for winter. Hector Guimard’s art nouveau masterpieces. It pays to get to Versailles early! A snap I took all alone in the morning. A sunlight day in spring cast a perfect light on these statues and was shot to good to miss. Last of the autumn flowers in the Luxembourg Gardens. Cascading blossom reveal a glimpse of the cathedral on a cloudy day in spring. I shot this after a visit to the Opera. Opulence perfected! I love these awning along the side of the Musee D’Orsay. A magic spring morning and a perfect say for photos! Montmartre seen through one of the immense clocks in the Musee d’Orsay. A photo I snapped in spring. View of the walls I took at low tide, spring 2012. At the risk of losing a limb, I snapped this photo in Exmouth as we drifted in sea kayaks over a coral outcrop about 500m from shore. Produced by Nobutaka Shikanai, with sculptured glass by Gabriel Loire, and reliefs by Atsushi Imoto, this 18 metre high tower of stained glass is a wonder of art and engineering. Liberté, Égalité, Fraternité – the cornerstones of French society. This tent and camp bed are to be found in Fontainebleau. I took this photo in the dim light and was pleased to see how well Napoleon’s “glamping” experience came up. I nearly trod on this dear little creature in Exmouth, Western Australia, completing my deadly creature encounter trifector. This door caused controversy when people detected a phallus in the decoration. If you can’t have a bijou residence in France then at least you can have some keys that might unlock one. Voted best facade in Paris 1901, the front door of the building caused scandal when on closer inspection the door clearly represented male “rude bits”. There in a mud puddle at the edge of our local swamp this little family of duckies begged to be photographed. I obliged. Sacré-Cœur in the distance on a lovely spring day. Just nominated you for the Real Neat Blog award http://tinyexpats.com/2015/01/21/real-neat-blog-award/ ! I think your blog totally deserves it 🙂 thank you! I plan to reblog your post ” Papa Bouilloire Chapter the Twelth” in my blog https://hellocreativestimes.com. Please let me know as soon as possible if you have any objection. Thank you. What a gorgeous website you have. It is just a gift to anyone who shows up here that you have chosen to share your photos. Thank you. You have some beautiful images, Thanks for sharing these. France is one of my favorite places. Wonderful pictures!!!!!! It’s the first time I enter in your blog. Regards from Barcelona, Spain. That is most generous of you! I am so flattered that you have nominated me! 😀 very best wishes! Life certainly IS too short to drink bad wine or bad drinks of any sort. If you like all things French, are you a biking fan? I’m really looking forward to the Tour and just finished watching the Dauphine. Good stuff. I’m afraid I’m not sure if you do awards or not. If you do happen to do them, I nominated you for the Encouraging Thunder award at https://thebookblogger2014.wordpress.com/2015/06/27/milestones-awards-and-in-defence-of-books/ . If you don’t sorry for bothering you. Thank you, I look forward to reading your response! Many thanks! I will definitely keep connected and thanks again for giving me a chance to share my blog! 🙂 So glad you enjoyed some of the posts. Thank you for following my blog, TJ. It is very good to meet you, and I look forward to reading your blog. All the best, Hugh. Hi! Tag your IT. Go to the following LINK to find out what IT is. You are so sweet. Busy is the word. Trying to get everything accomplished takes more time than is often available no matter hard your time is managed. I am looking forward to keeping in touch and enjoying a virtual sip of your fine wine. Thanks for keeping in touch! Hi TJ! Great blog, I’ve just discovered it. I love the visuals and your photos. I live part of the year in France, although I write about Greece, so I’m looking forward to exploring. Thank you so much for your kind wishes and so glad to hear from you! I must confess I was worried but naturally respect your requests. I hope you too have a truly blessed new year and keep in touch. In regards to your French question I understand that Decolletage usually refers to the ladies “cleavage” where as the decollete refers to the neckline of the dress. Decolletage can also refer to the dress but I am not aware of it regularly used that way. Of course I may be quite wrong but I did consult a lady friend well versed in matters of feminine attire and she agreed. Aha! Thanks for the “French” help–I was hunting words for new poetry…and was familiar with the first word, had not heard of decollete. Heaven forbid I should use words wrongly! Thank you for your concerns, it’s just the way I do things…escaping blogs, moving to another, fresh start…(mood swings and holiday crash). I’ve written my “attraction” poem, so will post with your link/pingback–and hope I can avoid undue notice 🙂 See you soon. Hi TJ – what a fun blog you have here! I can definitely feel your joie de vivre. Thanks for visiting Beauty Along the Road. Great interesting photographs make me follow your blog. Happy New Year 2016. I’m a little late here but then again art is timeless! Thank you so much! I found your beautiful blog through a comment you made on Azul’s poetry. I am really looking forward to reading more. Thanks for the comment! Locating the comment button is not obvious but I do like the clean look of this theme. Best wishes from Western Australia! Thank you for following my blog and letting me find yours. Your blog looks interesting with all the beautiful photos! I look forwarding to following it. Thanks so much for the follow! My computer was down and I haven’t had a chance to catch up. Best wishes from Western Australia. Hey TJ 🙂 Nice blog you have here! If you want to see sights of France, my blog has plenty original, authentic shots captured by me. Also, I would be very interested in joining your haiku endeavour. I have just started but I really enjoy it. Have a fantastic day! There is no need to apologise for being away. We all lead busy lives 🙂 Thank you so much for accepting me into the Haiku Hub team 🙂 I appreciate it! Best wishes back! Welcome to the hub. I will be back on track after some computer glitches over the weekend! Oh the joys of technology. TJ, this is the absent “Stella/RL Cadillac”–fan of your haiku challenges–checking in briefly to update you, after finally discovering that you’d requested entry to one of my blogs marked Private. I am currently NOT blogging–and the “Private” status is basically just a “place holder”, in case I want to work blogs again. I do miss writing haiku for you, but I’ve taken a much-needed hiatus after a major meltdown at the end of April. When I recoup a bit and figure out what I want to do next, I’ll be glad to keep you in the loop. I never forget you, and a handful of other dear poets/bloggers–if you need to reach me, here’s a good email address: mizalicesook@gmail.com. In the meantime, I keep you and your family in my faithful prayers–and wish you all the best life can offer. Take good care, “Alice” (of the many names/blogs). Will do–probably tomorrow evening when I get home from errands. Thank you, Tim. Thank you so much! I really appreciate the thought.